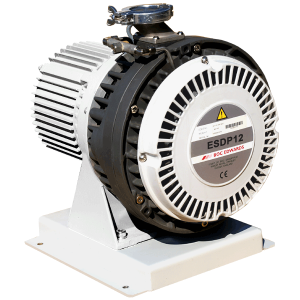 The “A” series Anest Iwata ISP pumps were sold globally as the Edwards ESDP-12, ESDP-30, and Varian DS-300 and DS-600. Anest Iwata sold them in Japan as the ISP-250A and ISP-500A models. These pumps are now legacy pumps and have been superseded by “B” and “C” series pumps. “A” series pumps can be rebuilt using crankshafts, pin-cranks, seals and bearings. However the “A” series major scroll module parts (FSl, FS2 and OS) are slightly different than the “B” and “C” series pumps and are not interchangeable with the “B” and “C” series. So, if a major scroll is damaged on an “A” series pump module, the module is NOT repairable. However, a latest generation “C” module can be purchased and it will bolt directly onto the “A” series motor.